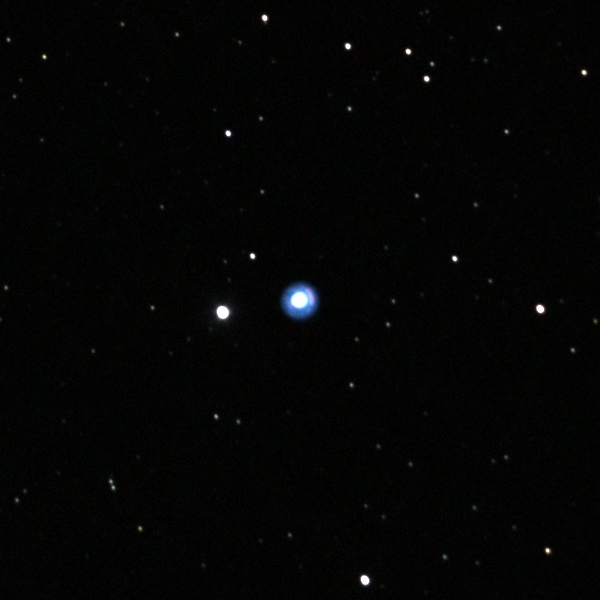 We had another good Calstar in 2013. 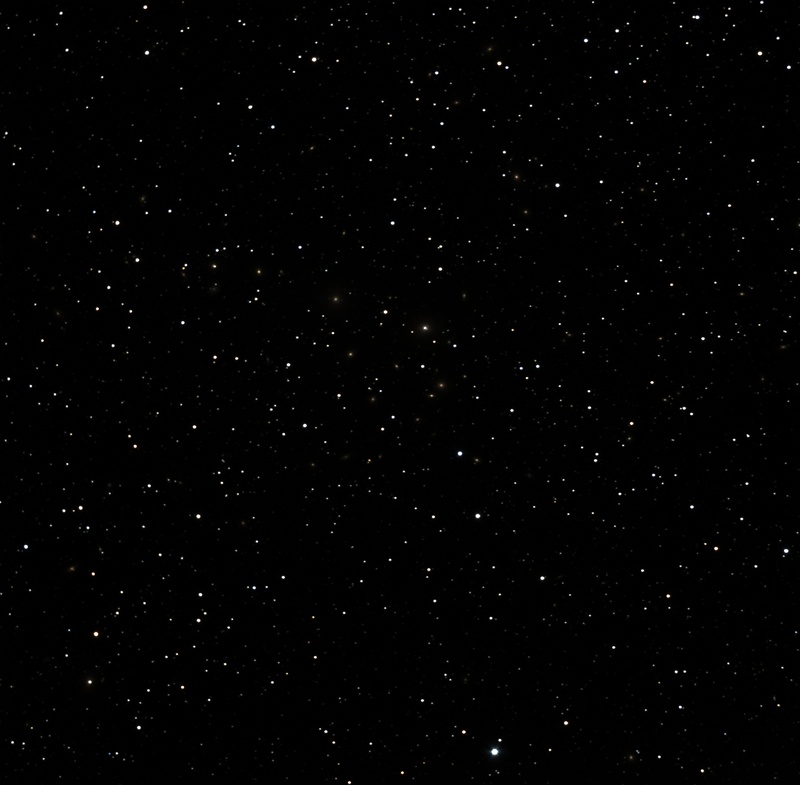 The skies were completely clear, and with the new battery we didn't have any power issues. Because of the late (October) date we were able to go for some winter objects. 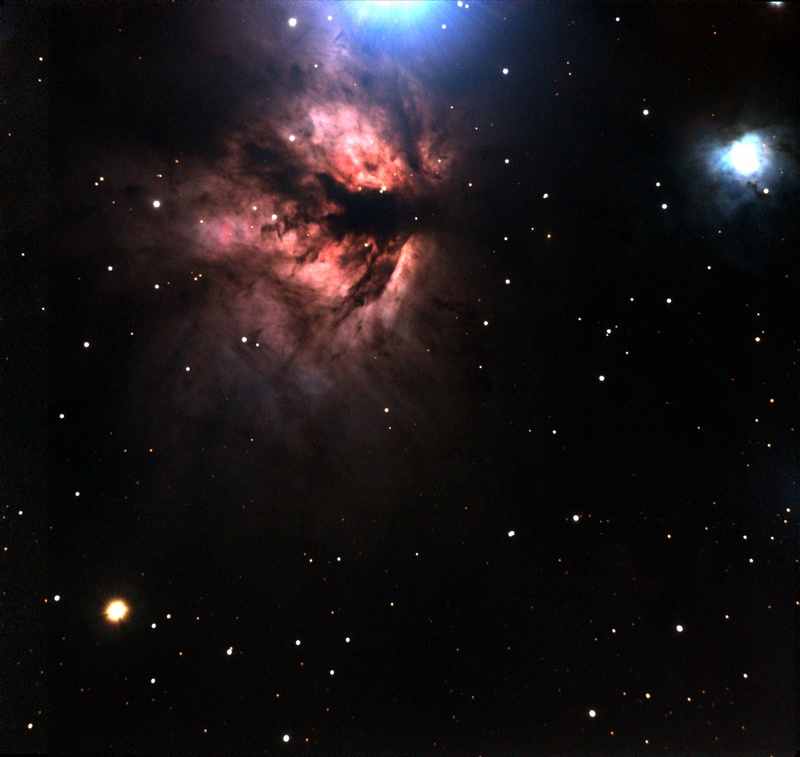 The only problem was that the seeing didn't seem great the first night, though it's possible that thermal issues in the telescope contributed to this. 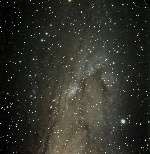 We also got very cold, even with our winter coats, thick socks, hats and gloves. 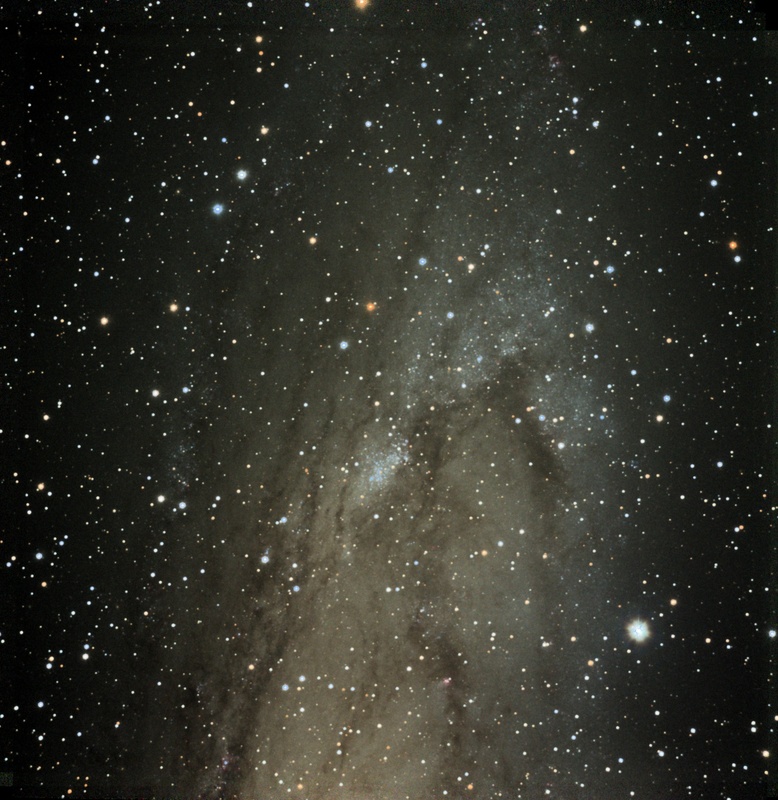 For all images of M31 click here. 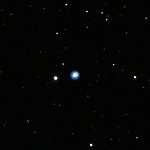 For all images of M1 click here. 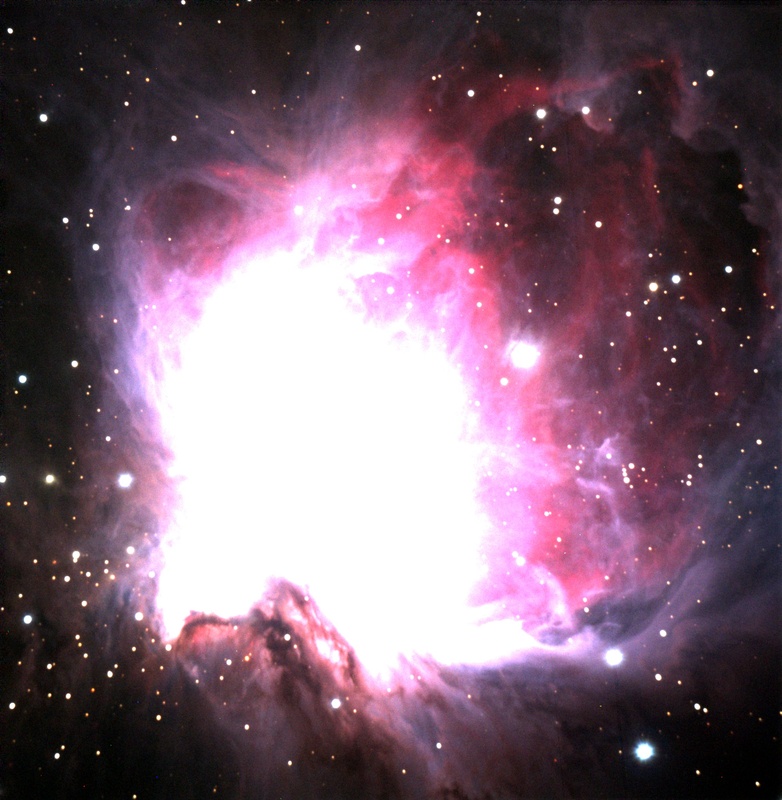 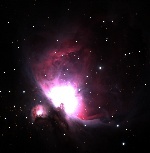 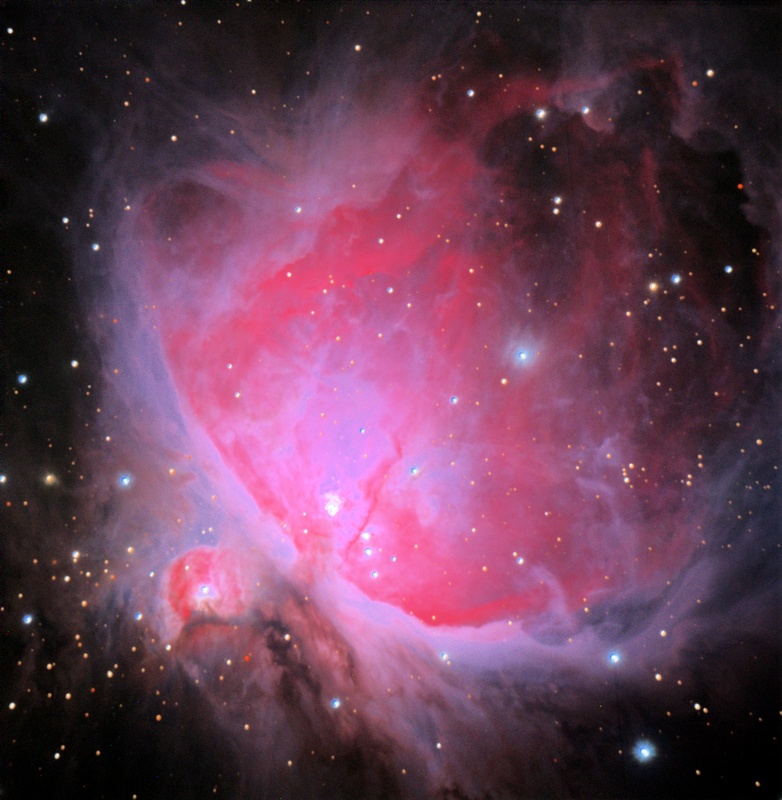 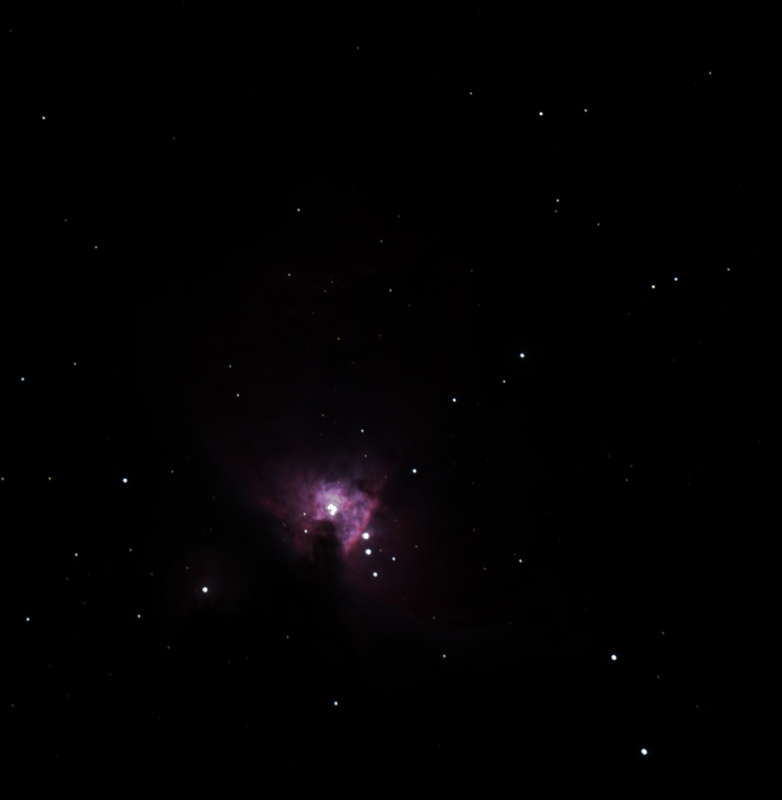 For all images of M42 click here. For all images of NGC 2024 click here. In certain photographs, this planetary nebula in Gemini resembles a face surrounded by a thick hood. 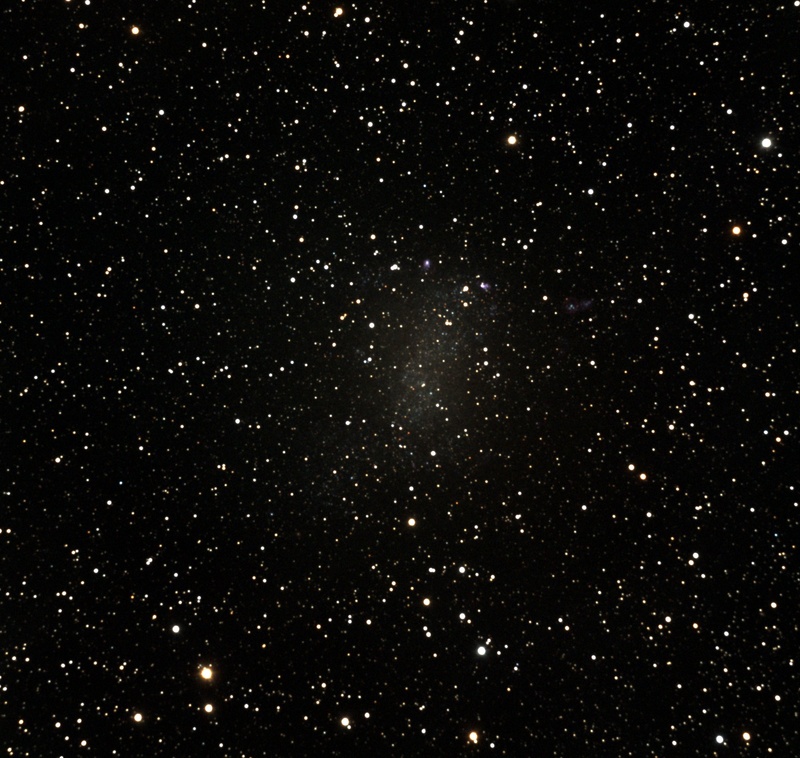 For the best chance of seeing that here, tilt your head 90 degrees to the right and look at the nonlinearly scaled image. 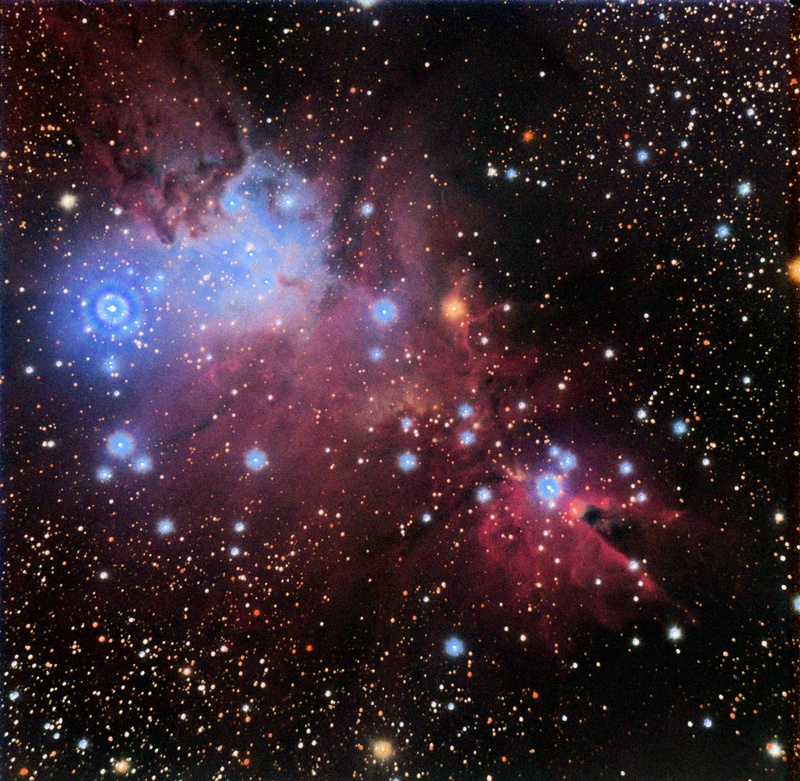 The blue and purple color combination seems unusual. This image shows the darkest portion of a dark nebula in Aquila known as the "E" nebula (the name is a little puzzling since, even in wide field images, the dark shape doesn't look much like an E). 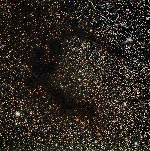 A reddening of stars near the edges of the dark patches is clearly seen. It is easier to see this in the "nonlinear" image, since the processing method used there retains the star colors even when the intensity saturates the display. This is a spectacular edge-on spiral galaxy in Pegasus. 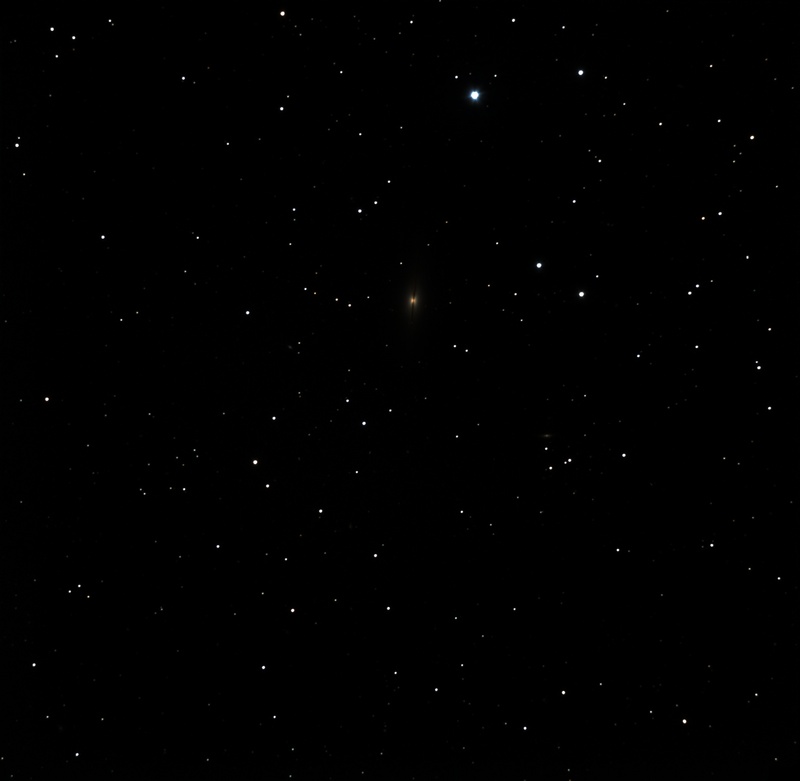 Numerous smaller, fainter galaxies can be seen as well (this is the reason for including the uncropped versions). 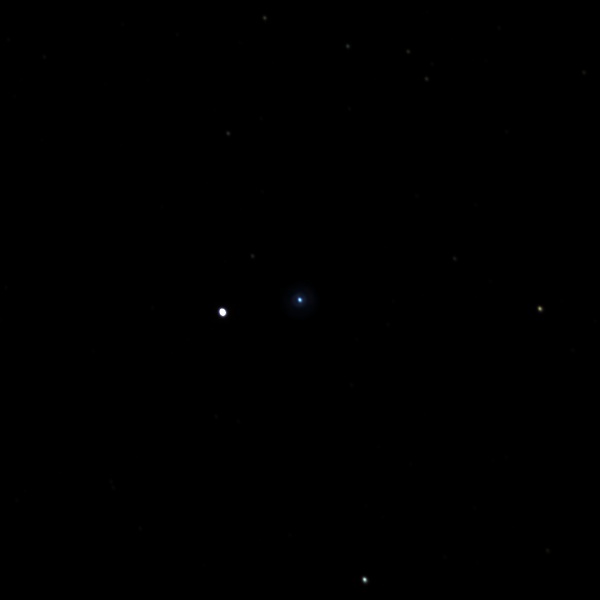 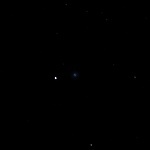 A faint, slow-moving object appears as a broken streak near a bright star in the lower-right part of the full-sized image. Based on its slow motion, it might be an asteroid (see Ceres below). 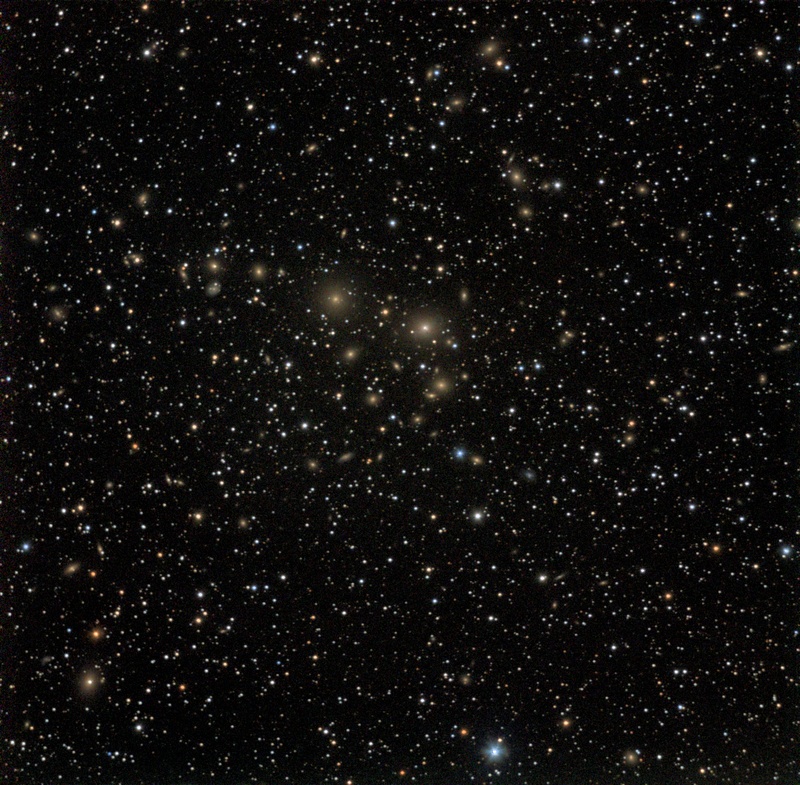 At an estimated distance of 240 million light years, this large galaxy cluster includes NGC 1275, which is the brightest galaxy in the image, slightly above-right from center. NGC 1275 is a strong source of radio and X-ray emission, and is thought to consist of two colliding galaxies. The resolution in this image is not good enough to see the dark lanes of the foreground galaxy clearly, though some hint of this structure can possibly be made out in the 'nonlinear' image by comparing with higher-resolution images. 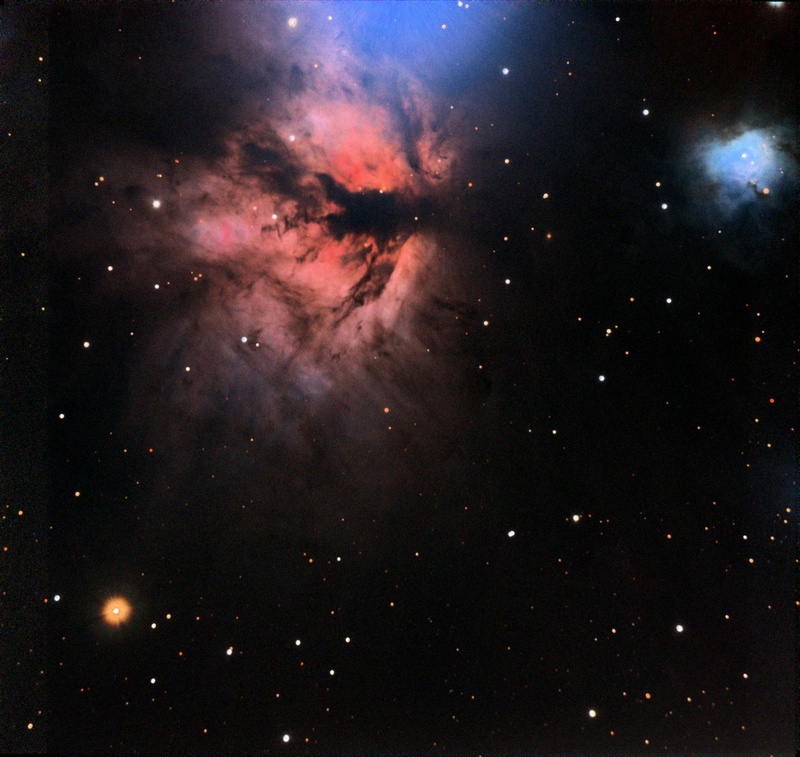 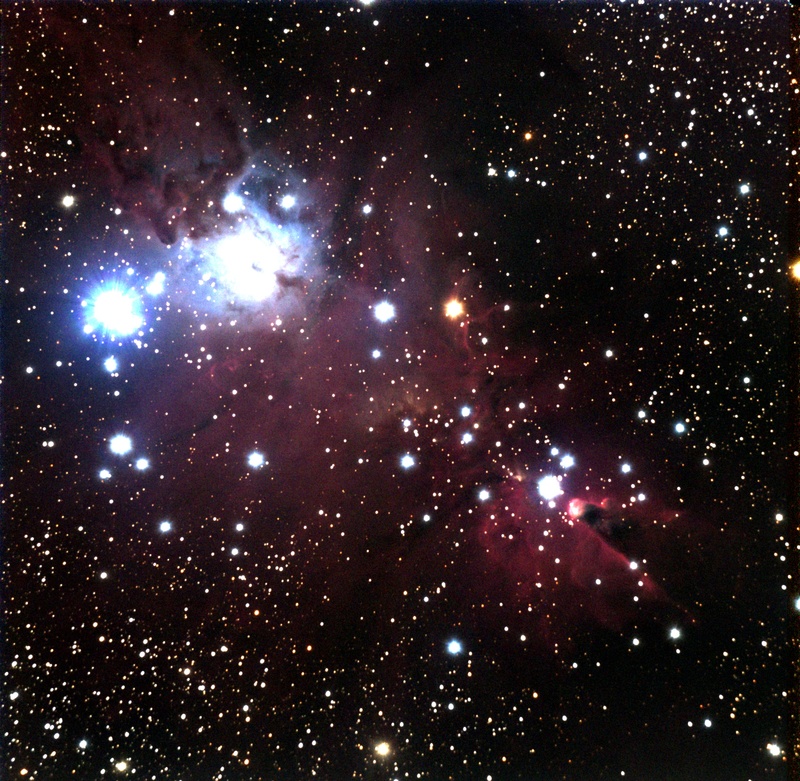 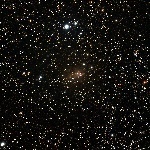 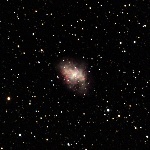 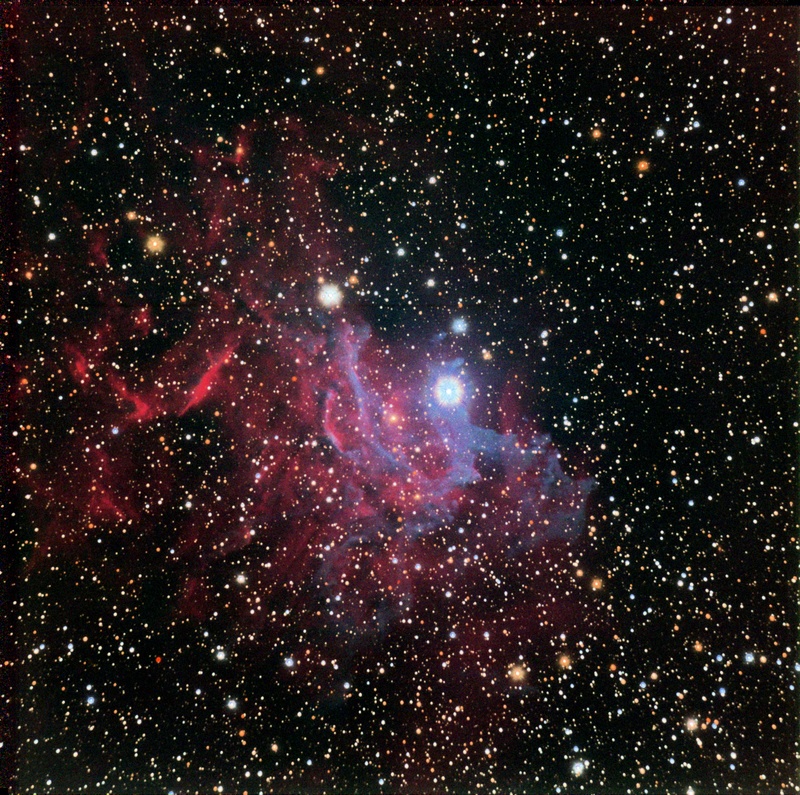 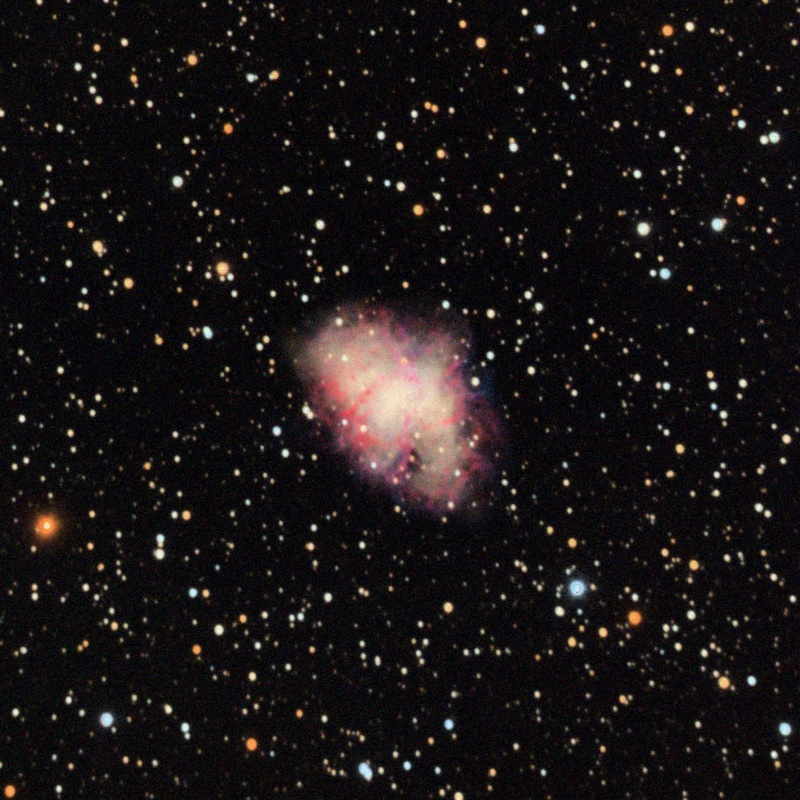 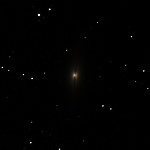 For all images of NGC 2264 click here. 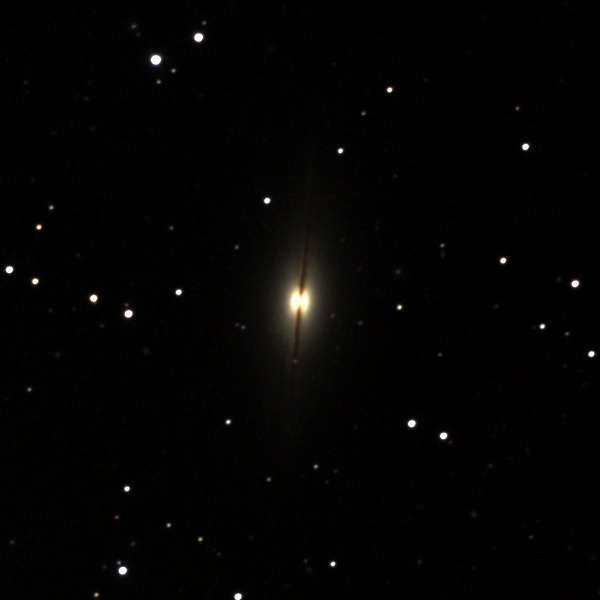 At a distance of 1.6 million light years, NCG 6822 is one of the closest galaxies visible from our latitude. 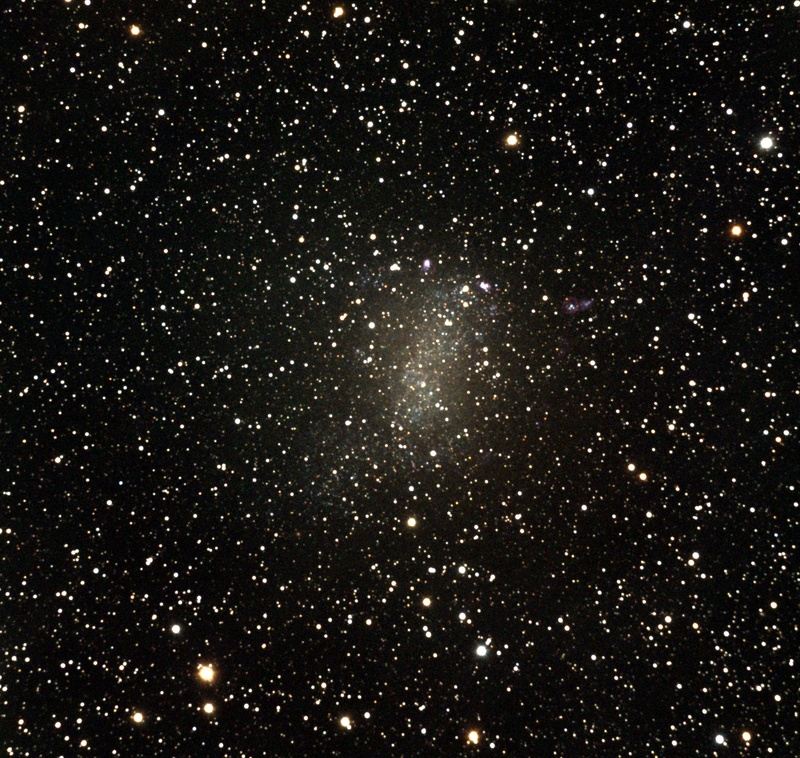 This small, irregular galaxy contains numerous emission nebulae, the brightest of which can be seen here. 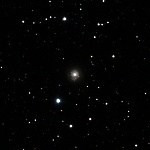 Numerous stars can be resolved, as well. 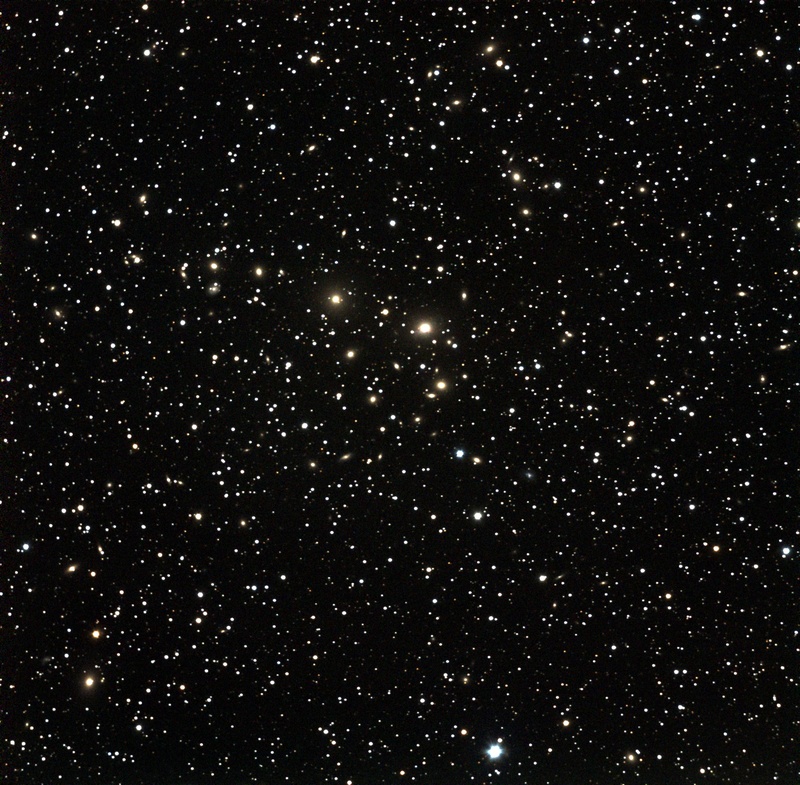 The bubble-like feature at upper-right from center seems particular striking and appears similar to a feature in M33 (near the bottom of the M33 image, right of center). 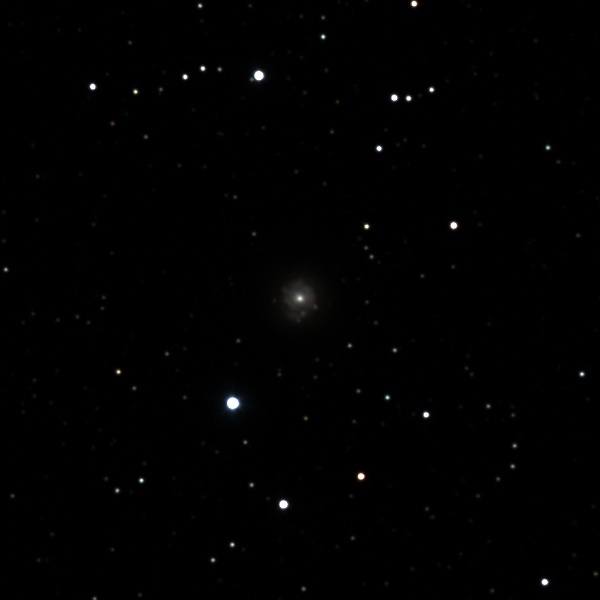 This is a small face-on spiral galaxy in Cassiopeia. This tiny, pearl-like galaxy is one of Kathy's picks. 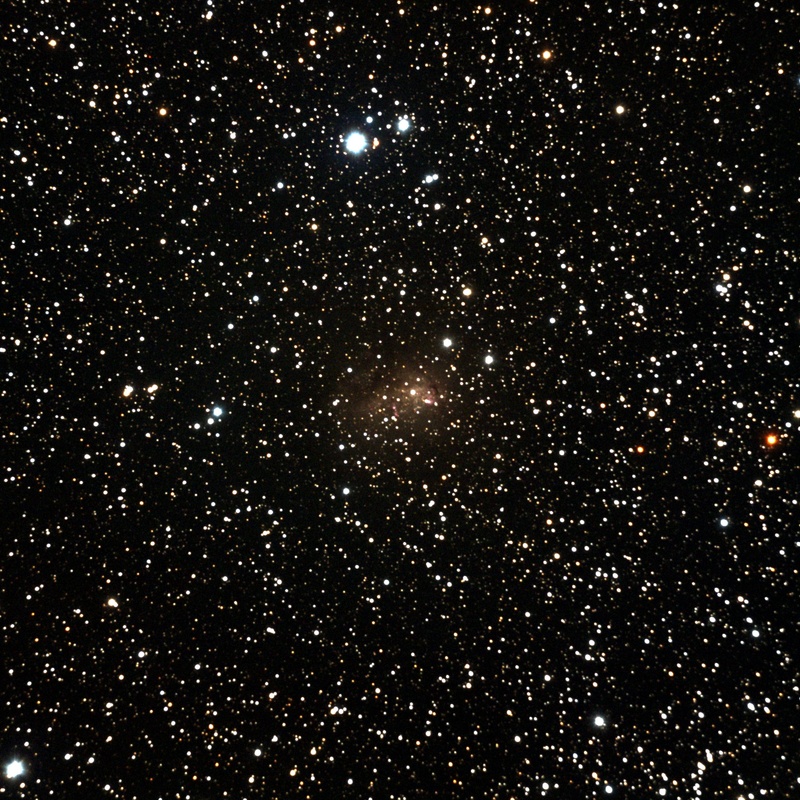 IC 10 is a small, irregular galaxy in the constellation Cassiopeia. It is a member of our local group, and its distance, 2.8 million light years, is similar to that of the Andromeda and Triangulum galaxies. 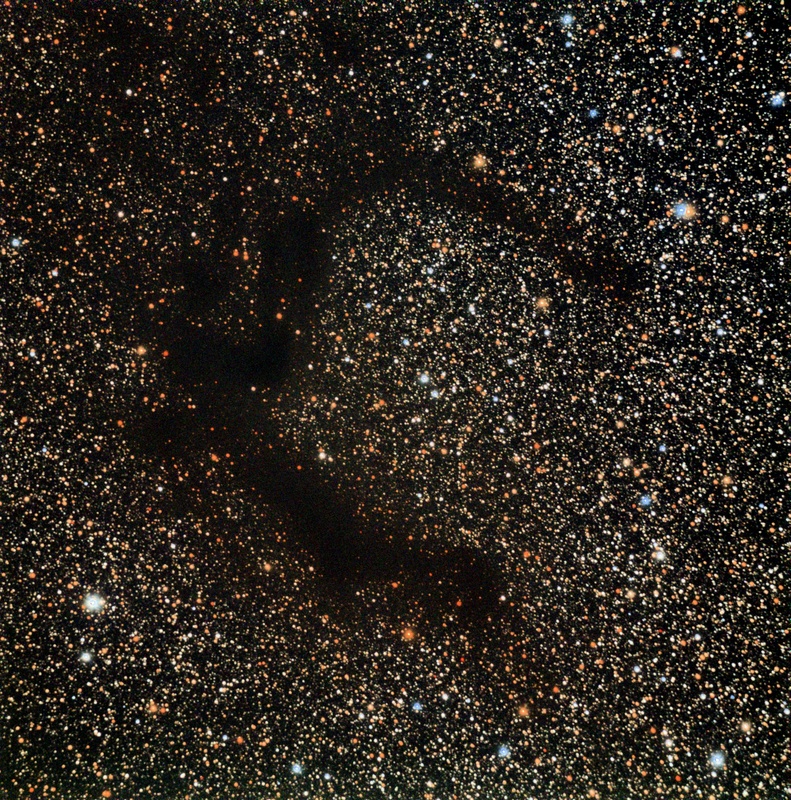 This image shows dust lanes and pink clouds that are apparently large emission nebulae. 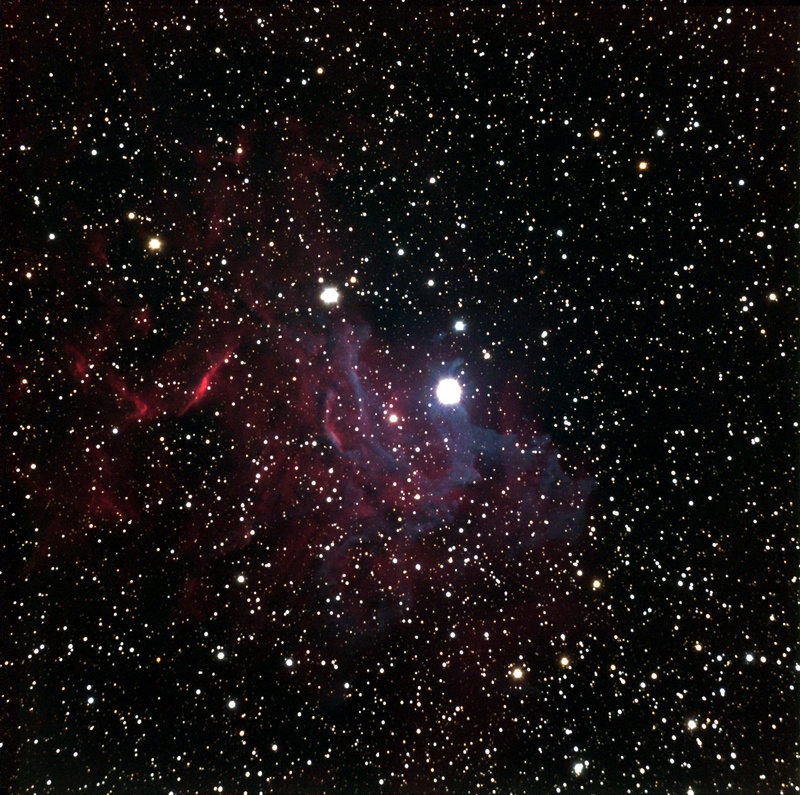 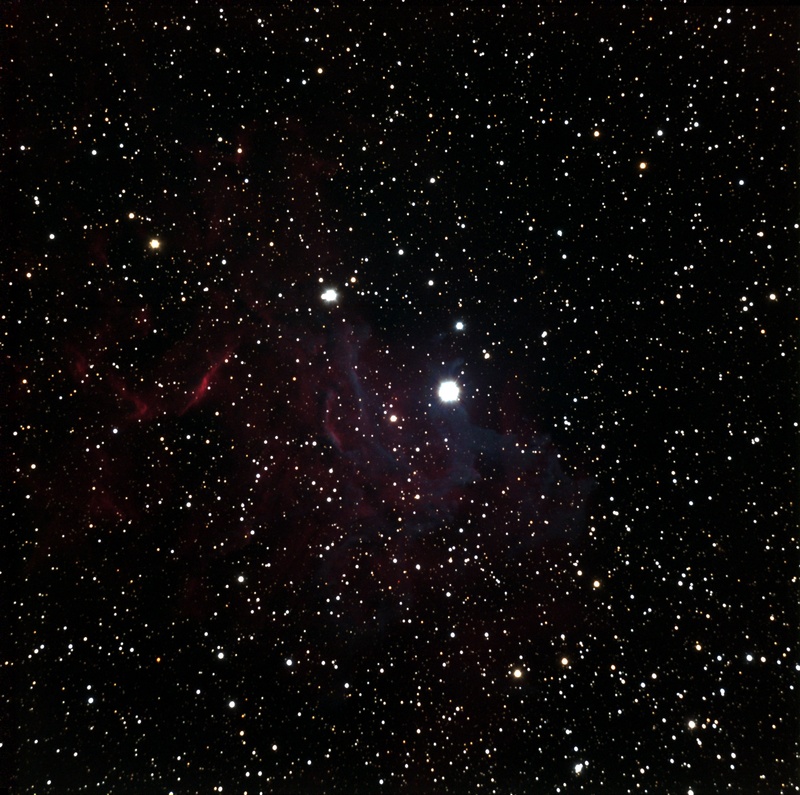 For all images of IC 405 click here.